In late 2012 our clients consulted Build Professional to discuss the possibilities of remodelling and extending their current home. They realised after remodelling their bathroom that their tired house was in need of a makeover. 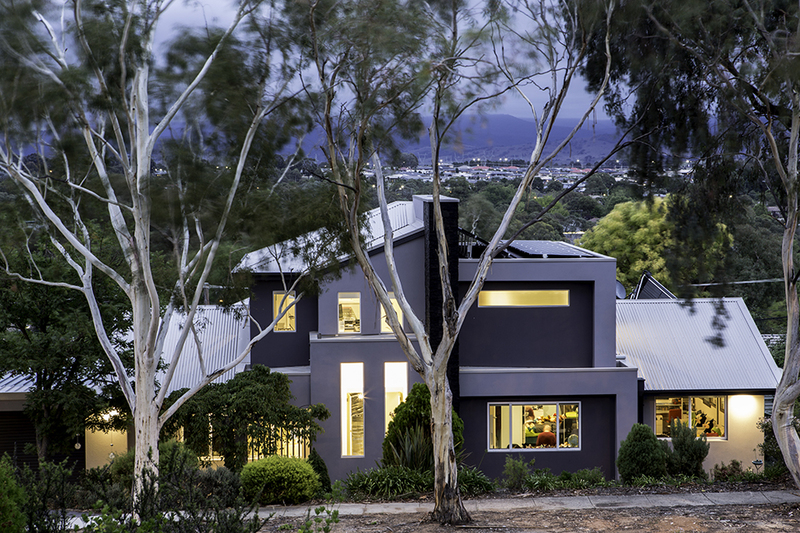 The clients required a remodel that would change their lives, they wanted a modern home with greater living space that maximised the amazing mountain views offering them separate living and working zones. This brief was all about future proofing their home and making it energy efficient – 6 Star EER with solar photovoltaic power and solar hot water, it was almost creating two separate homes under one roof to accommodate their family’s home and working into retirement lifestyle. The Build Professional team came up with a design concept for our clients following their brief and they were absolutely thrilled with the plans and proceeded to turn their dreams into reality when construction began on the 20th June 2013 and we held our handover ceremony with our clients on the 20th December. Construction time was 21 weeks with another 2 weeks of touch ups and tidying the site and home for the client’s use. This was a result of a well organised and careful planning approach that helped the construction team to execute on time and on budget as expected. The outcome is phenomenal, a complete transformation, a modern, striking and functional home with the most amazing views that meets and exceeds the client’s wishes for their family home. Our clients are absolutely delighted with the end result but do not take our word for it, please read their testimonial, they are our advocates who lived through this dramatic remodel and extension through the winter months of 2013 and still continue to sing our praises! We thoroughly enjoyed working with our lovely clients from conception to completion. Their positive feedback throughout the whole process through to actually being a visitor in their new home and witnessing their joy and how the remodel and extension has changed their lives fills the Build Professional team with pride. It is a great reminder of why we love what we do and that is building a better home for our clients so that they can live a better life!